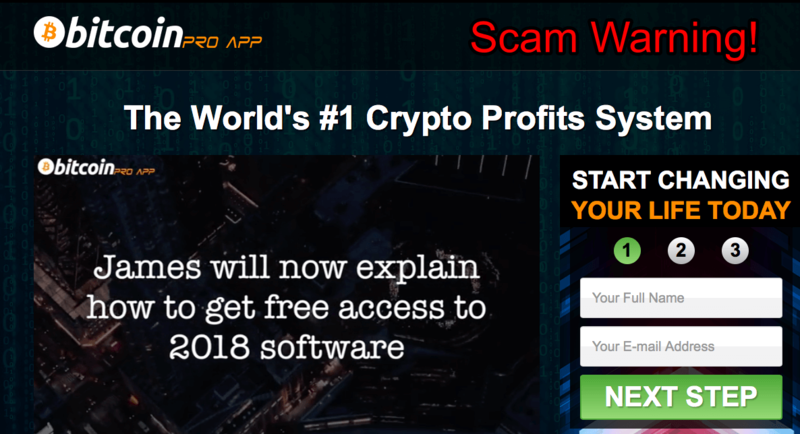 Bitcoin Pro Review - Another Crypto Scam? Yes! Find Out Why! Since the world is gradually embracing the idea of digital currency for global transactions, the quest for making more of these coins is steadily rising. I know many people want to own a wallet-full of Bitcoin, but no matter how desperate the need is, one should be careful. If you’re going to increase your holdings through crypto trading, make sure you use a legit app, or you will end up losing money on trading apps like Bitcoin Pro software. Yes! I am telling you the truth. This trading app is a total joke from scammers, and after reading this Bitcoin Pro review, you will understand why I said it. Bitcoin Pro App is a new release to the world of crypto trading supposed to trade on Bitcoin. The CEO behind the software James Robins claim that he owns the company that developed this trading software. Also, James claims that he has five hundred (500) system developers and three hundred (300) trading strategists working for him. The supposed company of Robins has existed since 2013 and traders on the Bitcoin Pro software can make thousands of Dollars every day. According to his claims, traders trade with 93% accuracy rate from unbeatable algorithms that use repetitive patterns to predict trades that wins. This 93% accuracy rates is complete fallacy and unless you are new to crypto trading, you will not waste your time and money. Well, when you look closely at the website, you will ask yourself why the whole thing looks like a mess. I mean with five hundred developers working for James, he should offer more in design. Don’t you think so? Also, the so-called developers couldn’t show their expertise in creating algorithms that will work faster than what you see. On a typical circumstance, if you have three hundred trading analysts, it is possible to make good profits, but there is no three hundred anywhere so what is James talking about here? 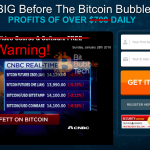 Furthermore, we hear that the software place 26 trades every day and traders can make from $1,350 to $3,700 daily depending on how much they invest. No matter the sweetness of this promise, no one can verify it. Please try to multiply your daily profits by the number of days in a month. The result will show that you can be a millionaire in few months. Then my question is, how rich is James Robins? Don’t forget that one of the characteristics of fake trading software developers is the use exaggerated promises and risk-free trading experience. Imagine assuring you that the app is the safest and the best in the whole world. Well if you believe them for a second, you will lose your $250 to crappy software. 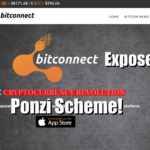 Bitcoin Pro Software is a dirty scam from unrepentant elements. They are so desperate to dupe people with their fake crypto trading app. If you still doubt my stand, let’s examine the following points as they relate to Bitcoin Pro. Now check the results on the software which these fakes want us to believe. There are so many errors and discrepancies to show you that the app, Bitcoin Pro is a child’s play. Notice the absence of entry rate and expiration rate. There is nothing like trade values, and even the supposed payout is very wrong when you calculate it. Think about it, is it possible to achieve 93% accuracy rate and make $1,350 to $3,700 every day? People are losing money on this auto trading software, and there is no record of profits anywhere. Scammers will promise heaven on earth to trick you into enriching them. 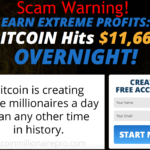 The Bitcoin Pro reviews you see are all false written by the scammers and enhanced with stock images. If you believe the photos and reviews of successful members of Bitcoin Pro software, then you are a novice. Don’t mind what they say because all those images don’t have an account on the software. Don’t forget that it is easy to copy a photo from another website and write some convincing reviews beside it. So don’t believe what they say. Let the real traders on Bitcoin Pro software appear on other platforms outside the website then we might believe them a little. Creating two names is very easy so don’t believe that the name means anything. There is nobody like James Robins anywhere, and in fact, his company doesn’t exist. 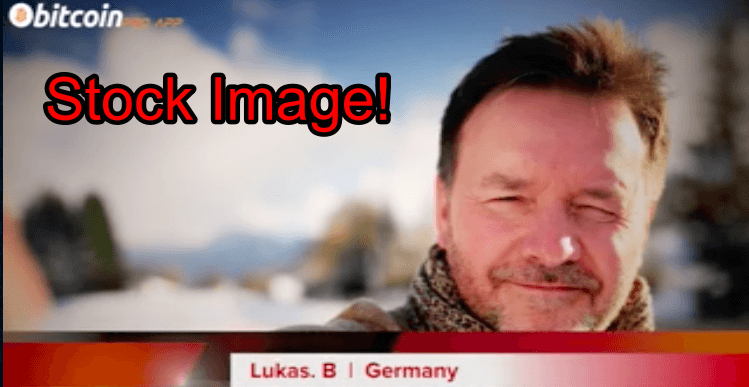 You see, the man talking about Bitcoin Pro App in the video is simply a paid actor who is more interested in his money than crypto trading. So if you believe his words, you are only making a mistake. Another important point is that many of our readers are sending in their reviews against this fake app. People are losing their initial deposit of $250 because the whole setup is false. No trading app can make you a millionaire in few months. Learn from the experiences of our readers and keep your money safe from fraudsters. 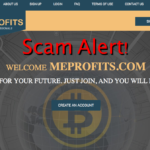 Bitcoin Pro Review Verdict – It’s confirmed scam! Avoid it! 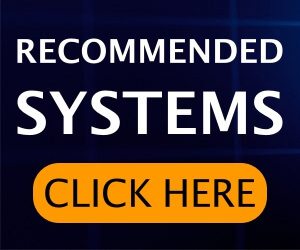 Join Our Trusted & Tested Trading Robot With An Avg ITR Rate of 83% Instead! Click on below banner to join! Option Robot Not Available? 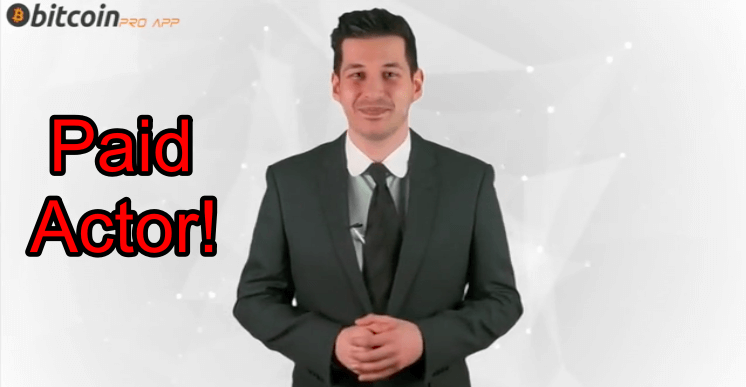 Join BinBot Pro – Another Proven Trading App! I don’t know about you, but no matter how valuable Bitcoin is, I am not about to lose $250 to thieves. 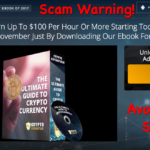 When you analyze the whole of Bitcoin Pro Software, you will know that it is yet another scam trading robot from these untiring individuals. The design of the whole app is childish even with the 500 developers. What about the results which they display on the software, isn’t it funny that they didn’t do anything right? Ah! Don’t forget about the inexistent CEO of a fake company and his team of developers and analysts. Don’t get me wrong, making money on crypto trading is possible but not as high as what these dubious characters claim. I know you are confused on which app to trust but don’t worry, we will always investigate the available apps and equip you with the results. I hope this Bitcoin Pro Review helped you in taking the right decision. 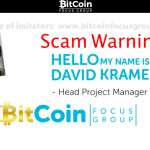 Therefore, protect your hard-earned money from scammers and developers of Bitcoin Pro. They are desperate for free money and can do anything to get it. big in the past.however, you are very admirable in your couarge and diligence for exposing scams.YOU ARE A SHINING STAR in the scammy net particularly in the crypto world.